CRESTLINE — The Crestline Bulldogs boys basketball squad returned to their home floor on Friday, January 18 and welcomed Mid-Buckeye Conference foe, the Loudonville Redbirds to town. The two squads would scrap it out to the very end with the hosting ‘Dogs claiming a two-point victory; 59-57. With the victory, Crestline improves to 4-8 overall on the season and now sit at 2-4 in MBC play. Loudonville falls to 7-6 overall and 3-3 within the conference. After the opening quarter of play, Loudonville held a slight advantage at 11-10. The Redbirds would distance themselves further from the hosting Bulldogs in the second to give themselves a 28-22 halftime lead. Out of the locker room though, the ‘Dogs would appear to settle down on the defensive end, allowing Loudonville just seven, third-quarter points while posting 16 on their own offensive end. Entering the final quarter of regulation, with the home team holding the 38-35 lead, Loudonville would post 22 points in the fourth but would come up just short as Crestline managed 21 points of their own to hold on for the two-point win. Max Anatra led the way for the hometown Bulldogs, scoring 18 points while dishing eight assists and swiping a steal. Kaden Ronk would also finish in double-figures in the scoring column, dropping 13 points while also gradding two boards and swatting a block. Other statistics for Crestline in Friday night’s win were: Ty Clark- 9 points, 9 rebounds, 2 assists, 1 block; Ethan Clark- 8 points, 1 rebound; Calvin Reed- 5 points, 1 rebound, 2 assists, 2 steals, 1 block; Trevor Phillips- 4 points, 4 assists and Spencer Harley- 2 points, 5 rebounds, 2 assists, 1 steal. The Bulldogs home game against Temple Christian, originally schedule for Saturday, was postponed due to the inclement weather and was played on Tuesday, January 22 instead. This coming weekend, Crestline has a pair of road games ahead of them, starting with a conference contest at Lucas on Friday. 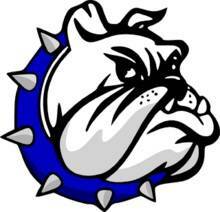 On Saturday, January 26, the ‘Dogs will hit the road to face-off against the Elgin Comets in non-league play.